Hike San Diego is a non-profit organization whose mission is to provide educational and recreational opportunities for hikers in San Diego County. Promoting the diversity of hiking opportunities in San Diego County to the public. Inspiring the next generation of environmental stewards. Encouraging residents to live well and build better health by choosing the outdoors for recreation. Educating all hikers about trail safety and leave no trace principles. Hike San Diego is operated by passionate volunteers who donate their time and energy to move the mission and vision forward. Kevin Perez, is currently a North Park resident and holds his Master's degree in Public Affairs with an emphasis in Non-Profit Management. He is a grant administrator for the City of San Diego. Kevin is a dog dad and avid outdoor adventurer. "I have been fortunate to call San Diego my home for the last several years and catch myself taken aback by all the beauty that exists around here from beaches, mountains, to deserts. I'm excited to share, explore, and experience San Diego trails with our amazing community." Shannon Castellano, is a San Diego resident who loves to hike, camp, backpack and paddle board with her dog named Cappie Bear. She enjoys leading trips and planning adventures for the hiking and dog friendly communities. Shannon is currently a Navy civilian and has over 17 years of financial management experience. Shannon is also a volunteer for Search and Rescue with the San Diego County Sheriff Department. Anthony Dato-on, DPT, Anthony is a Southern California native. He grew up outdoors as an avid runner, soccer player, and climber. His career and schooling has brought him throughout the US, giving him the opportunities to experience the outdoors throughout this beautiful nation. He has found himself back in Southern California where he can run or hike the trails with little weather interruptions. He currently practices as a physical therapist and part time professor, educating both patients and students about their bodies and active lifestyles are his passion, which coincides with his love for the outdoors. When he is not working you can find him running the trails, on the beach, or on the field. 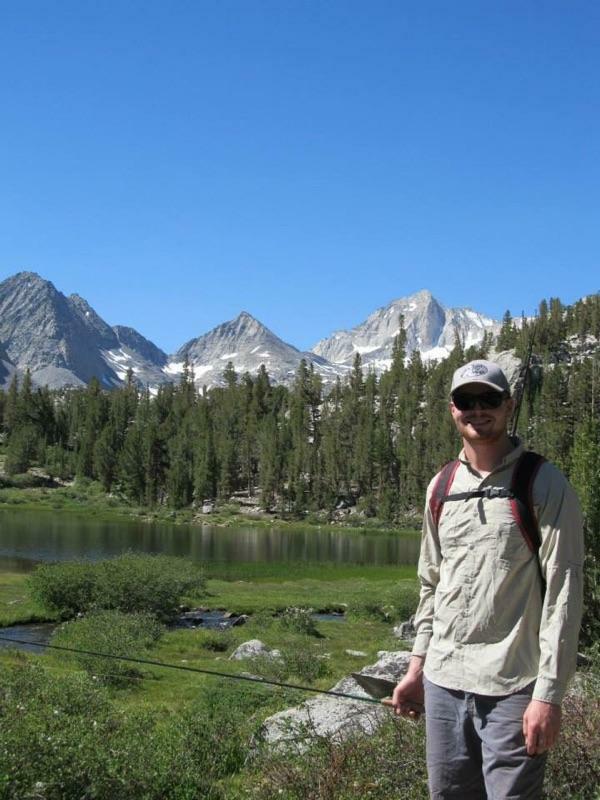 Ben Redding, is a San Diego native who has enjoyed taking advantage of all the great outdoor resources San Diego County has to offer. He is an avid fisherman, mountaineer, and hiker who prefers pine trees, granite and fresh air over office chairs and meetings and he’ll take any opportunity to pitch a tent in the backcountry. Ben attended Northern Arizona University where he graduated with a B.S. in Biology, focusing on animal physiology and ecology.